Location, Location, Location! Very welcoming TOTALLY REMODELED town home. As you enter you will notice the NEW hardwood floors throughout the main level with ceramic at entry and in baths and NEW carpeting in ALL bedrooms.Bright kitchen with Sile stone counter tops and REFACED Gray/White cabinets, NEW SS MICROWAVE AND GE ELECTRIC RANGE (self and steam clean).Large living/dining room opens to patio area from NEW DOUBLE HUNG PATIO Doors and plush landscaping. 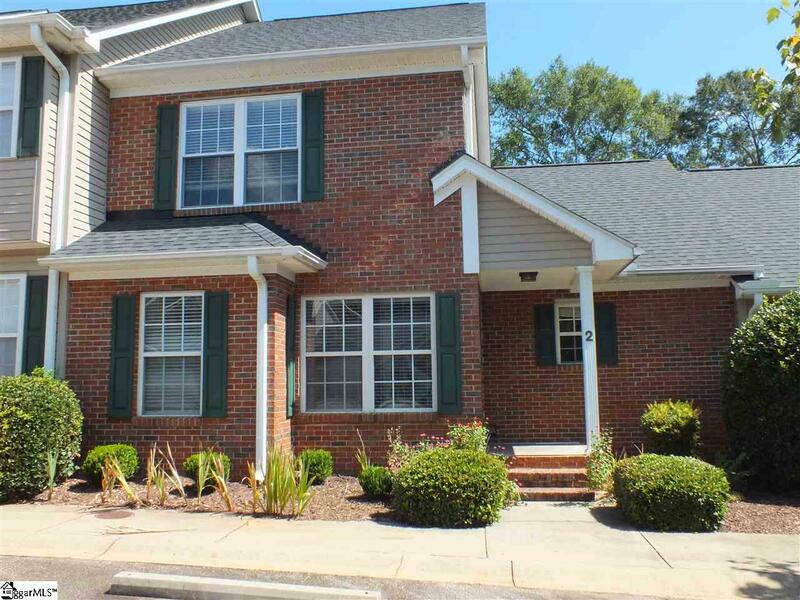 MAIN floor master suite has cathedral ceilings, double window and roomy walk-in closet. There are 2 additional bedrooms on the 2nd floor with large closets and a full bath. The entire home has been FRESHLY painted, NEW VANITIES and NEW HEATING A/C SYSTEM INCLUDING ALL NEW DUCTWORK. For storage there is utility building 10x5 off the patio and attic space that is floored. Don't miss this freshly painted and new carpeted unit. Move in Ready. Listing provided courtesy of Martha Durgin of Keller Williams Greenville Cen.